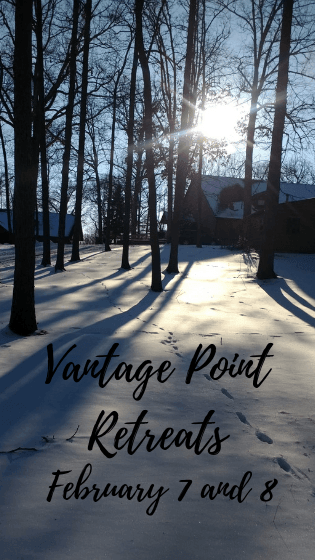 Vantage Point Retreats February 7 and 8 • Run Hard. Rest Well. Champion REST in your life today. Double the impact and invite a friend or co-worker this February. Join us for a ½-day Vantage Point Retreat. Cost: $19 to $69. It includes the retreat and the book Vantage Point. If you would like your staff to participate, email us a list of your full-time and part-time staff and we will invoice you.